My student and I recently met to discuss what made us a successful team. We came up with three reasons why we click so well: mutual trust and respect, passion, and laughter. Teaching an adult with a learning disability is very rewarding. I have gotten lucky tutoring two gentlemen whose worlds opened up when they began to learn to read. Both show signs of dyslexia. My first student had to move out of town which freed me up to begin teaching my current student, Darrell. Darrell does not only exhibit signs of dyslexia, he also contracted rheumatic fever as a young child which affected many parts of his body, including his brain. To add insult to injury, he has also had a TIA (mini-stroke) and has had open heart surgery which was probably a result from the damage to his heart from the rheumatic fever. 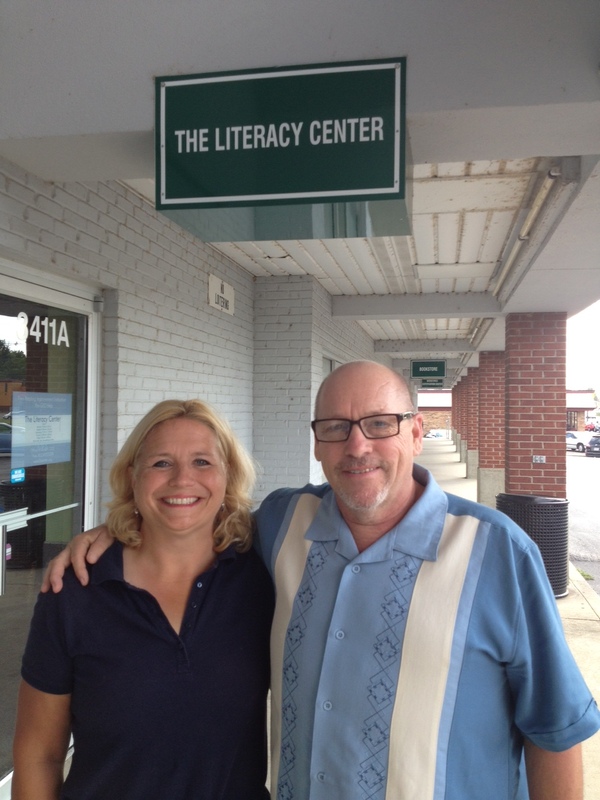 But instead of giving up on learning to read, Darrell came into The Literacy Center (TLC) seeking help. It takes a lot of courage to admit, as an adult, that you cannot read. Maybe that is why we tutors are so lucky. Our students show great character by just walking through our door. Trust me, we learn and grow by having them in our lives. 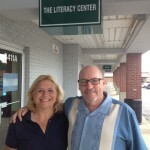 One need for tutoring an adult with learning disabilities is patience. One need for learning with a disability is patience. If both parties accept this truth the faster they will become a team and progress will be made. As a tutor, it is very amusing (you have to laugh about it) to be told by your student that you have never taught them something you are working on, when you know you have told them weeks, months, and maybe even years before…multiple times. But that’s ok! It’s to be expected. You proceed in explaining the point you want them to understand, as if it is the first time. Sometimes they will have an Eureka moment. Seize that moment! You can almost see new pathways being forged in their brains; deeper ruts running along their memory highways, updating and re-wiring. But there will, also, be sessions where you see dullness in their eyes. However you have explained your lesson, regardless how brilliant you think you have conveyed it, there is a block to their grasping and understanding the point. Go ahead and try a different angle, but also know when to switch to something they know or like to work on. The more you get to know your student the easier these transitions will become. Have patience! As a tutor of a student with learning disabilities you must be prepared for valleys and peaks in their learning. With these come high highs and very low lows. Your students will recognize when they are slipping. This knowledge can be very daunting for them and frightening, especially for those students who work and study hard on a daily basis. Like Darrell. It has happened several times that Darrel has wanted to quit taking lessons because he feels he is too stupid or weak to continue or that he is letting me down. He runs full speed into a wall. If you find your students are letting self-doubts hinder their progress…. Have patience! Together, I repeat, TOGETHER, you dismantle the wall brick by brick. This is where the mutual trust and respect, the passion, and the laughter come in. One of the most important ingredients to every tutoring session is having your students leaving feeling good and happy about themselves. Make them excited about their potential! WARNING! : Your false praise and half-hearted encouragements are immediately sensed. Your students are much better at reading your body language and your intonations in your voices than you are in theirs. Their lifetimes of negative experiences and distrust in others have fine-tuned these skills. On the other end are the times your students feel elated and even manic about what they have learned and how this learning has opened their minds to new thoughts and new interests. They incorrectly believe they are much more advanced than they actually are at the present. Feed their excitement but not in a way that they will crash and burn. Your jobs as tutors are to always be pushing to that next level but not so far ahead that failure or back slipping is inevitable. In closing, and this comes from Darrell, he says some of the best sessions are when we mostly talk, especially if he is feeling overwhelmed. He says those sessions have allowed him to rid himself of the demons that have haunted him since being illiterate in school as a child. He wants every tutor to realize that students come to TLC with a lot of baggage and scars. Please, just have patience. The rewards are amazing.